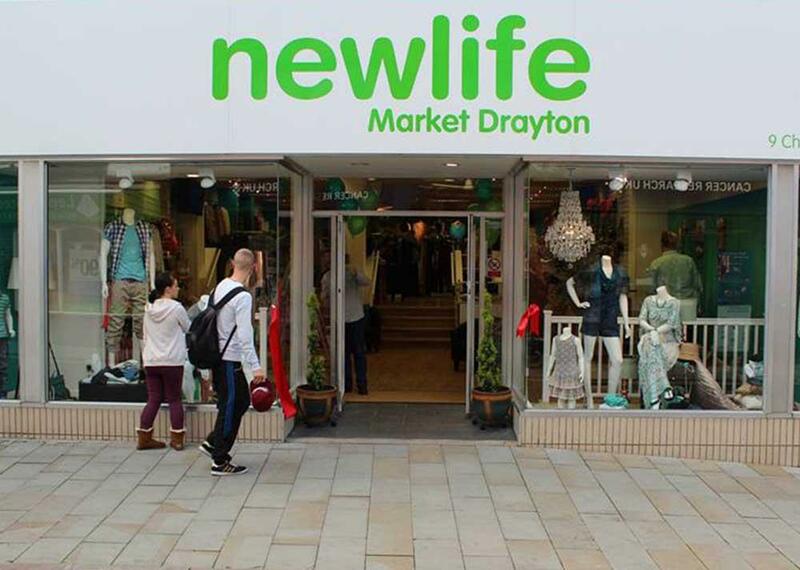 Shopping at Newlife is good for the environment, good for your pocket and good for disabled children and their families. We recycle goods from major companies helping them achieve their environmental social responsibility policies. As a result we offer clothing, textiles, footwear, accessories, house wares, gifts and on occasion furniture, books, electrical items, toys and much more across our stores. Our flagship store in Cannock draws customers from miles around because of its amazing offers and range of brand new ex-high street clothing, footwear and accessories for all of the family. The sales floor is updated daily so be sure to keep popping in and take advantage of our fantastic offers. Selling a wide range of top of the range fashionable home furnishings and household pieces including furniture, rugs, bed linen, lighting, seasonal goods, ornaments and general homeware. Selling clearance items for make-overs and upcycling including discounted furniture and other bulky goods at astonishing prices. Our first store to open in the fashion conscious Wirral, offering a fantastic mix of ranges and styles from across the high street all under one roof, with new products added to the sales floor every day. 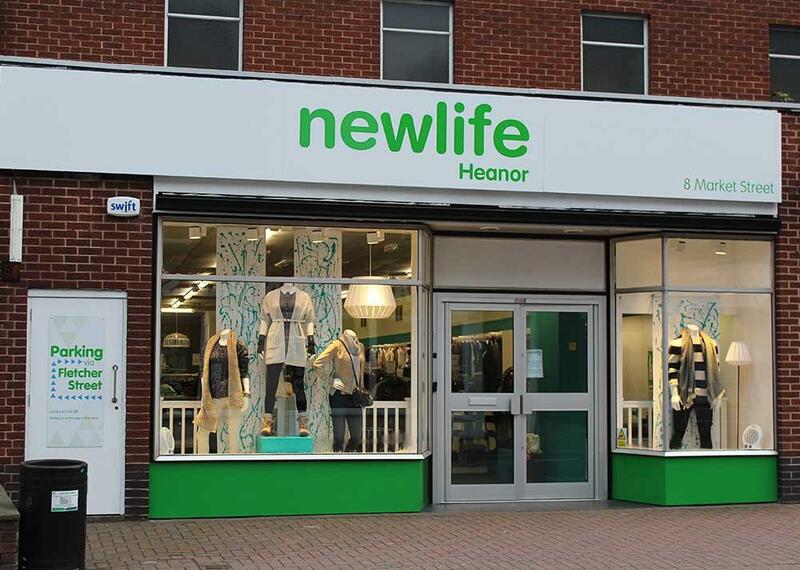 Our Heanor store is in the heart of this small market town in Derbyshire and offers women's, men's and children's clothing, footwear and accessories – it also has its own mini Market Place selling clearance items from 99p at the back of the store. Located in the middle of the bustling market town in the north of Shropshire, perfect for a day out shopping with friends to get latest high-street and designer brands at fantastic prices. 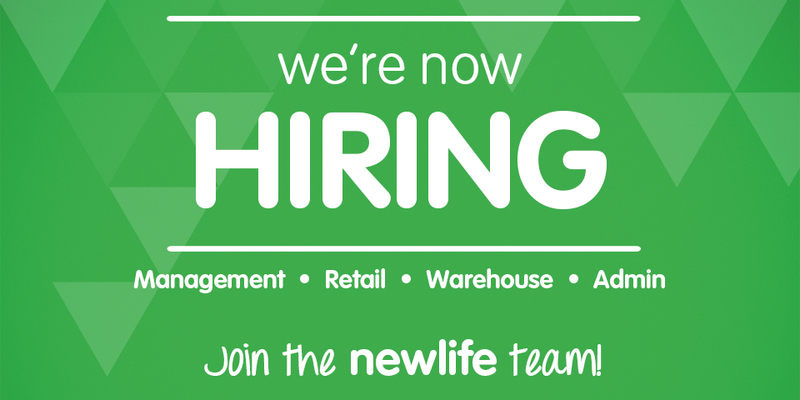 Newlife gives you the opportunity to do a genuinely worthwhile job, and to pursue a career in a vibrant, exciting, innovative and caring culture. We are an equal opportunities employer and are proud to be a disability confident employer. It is the Newlife's policy to employ the best qualified personnel who are most suitable to perform the post applied for, and are the best fit with our culture. We are committed to providing equal opportunities for the advancement of employees including promotions and training. Whether you work for the charity itself, or its trading company, we offer you the opportunity to develop your skills, to grow and make a real difference. Click on a vacancy below to reveal details. Please click the button below to complete an application form. We have been in negotiations to take the lease on a retail store on the High Street in Erdington. For commercial reasons, we now find that we are unable to proceed with this particular lease. However, we hope to secure an alternative property in the area and will update our supporters in due course. Apologies for any inconvenience caused to those who have reached out to us. Despite every effort and consideration of the alternatives, we regret that we must today confirm that our Uttoxeter store will close at end of day, on Saturday, 30th March 2019. As per our previous statements, we have endeavoured for many months to find an alternative property in the area that would make it commercially viable for us to remain in the town. We have continued to view properties, even those that have closed in the last few weeks. Sadly this has not been possible, hence this statement. Like many other retailers at this time, nationally and locally, difficult decisions have to be made. Our first thoughts are for the great team of staff we have in the store and every effort is being made to support them. We would like to publicly thank them sincerely for their service. We would also take this opportunity to say a huge thank all our local customers for their support. It has been a pleasure to get to know many of you. We would also like to take this opportunity to assure all, that had it been in any way commercially viable to remain in the town, we certainly would have taken the opportunity to do this. We have enjoyed being part of the town and community, so we will continue to monitor the area for suitable property availability, over the year ahead. We hope the following questions and answers help our local customers, in the weeks ahead. Q: What will happen to store refunds before the 30th March? We will continue to offer refunds up to the 30th March on any existing purchases. Q: I have in-store refund credit, what happens after the store is closed? The credit has no expiry date and the amount can be spent in any Newlife store. Q: I need to return an item, what happens after the store is closed? The item can be refunded at any nearby Newlife Fashion Store. Your statutory rights are not affected. Q: I have gift vouchers, what happens after the store is closed? 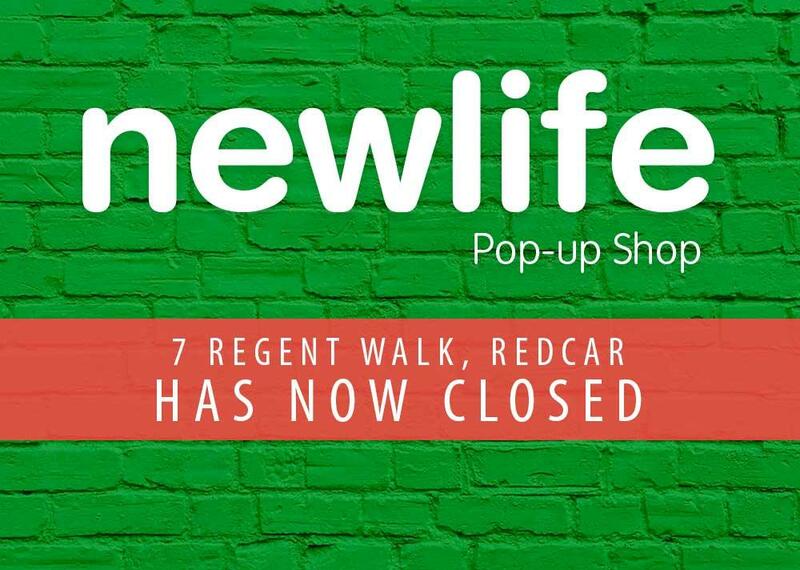 Gift vouchers have no expiry date and can be redeemed at any Newlife Store. Q: Where is my nearest fashion store? Q: Can I keep my Newlife Style Card? Yes, you can keep your Style Card which is valid at any Newlife Store. Q: What happens to my GDPR opt-in, after the store is closed, I still want my Style Card Benefit emails. 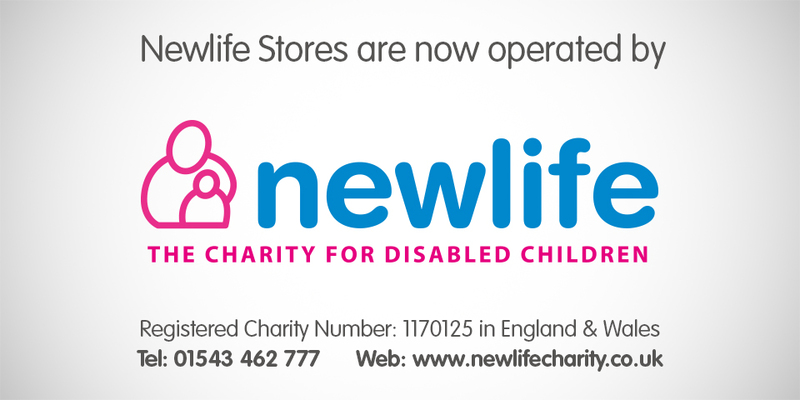 Newlife the Charity for Disabled Children are the ‘controllers’ of the information which we collect about you. We are committed to protecting your personal data, whether it is sensitive or not, and we only process data if we need it for a specific purpose. 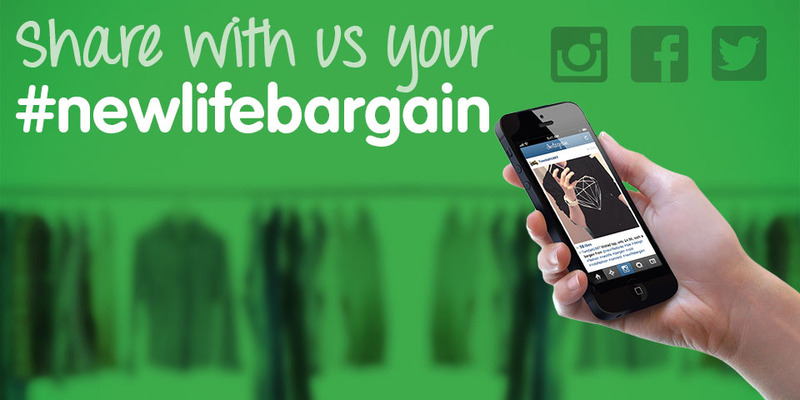 Offer is valid at Newlife SuperStore, Newlife Market Drayton, Newlife Heanor and Newlife Moreton. Offer only valid on ladies clothing and ladies nightwear. Buy 3 x £2.99 ladies clothing items for £5. Buy 3 x £4.99 ladies clothing items for £10. Buy 3 x £6.99 ladies clothing items for £15. Buy 3 x £8.99 ladies clothing items for £20. Offer excludes; footwear, jewellery, accessories and swimwear. Promotion excludes all items marked with an E.
Offer only valid on price points stated. Offer cannot be mixed between price points. 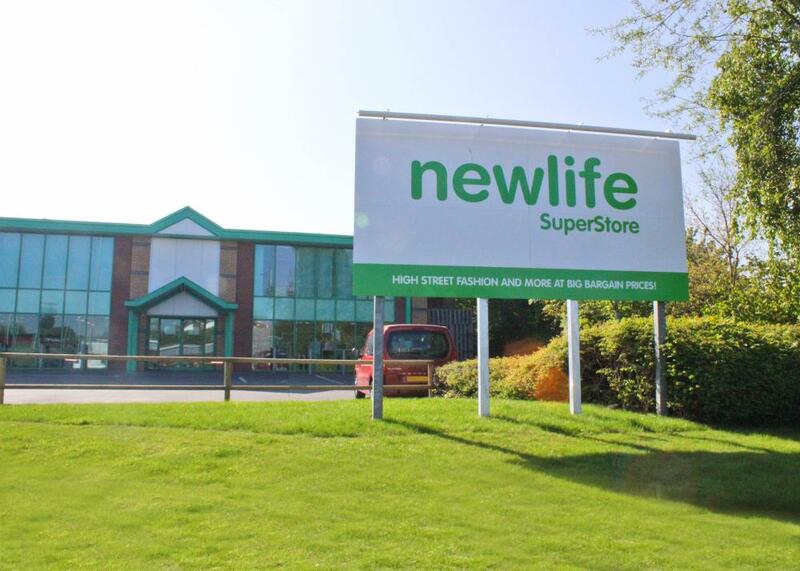 For a full list of opening times please visit www.newlifestores.co.uk. See in store, or visit www.newlifestores.co.uk for information on restrictions/refunds. Newlife reserves the right to; Close or restrict entry to the store, on grounds of safety & limit the volume or value of purchases, to deter traders. 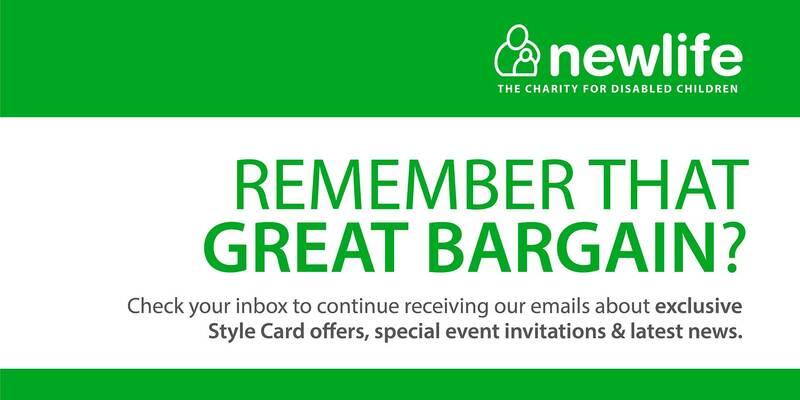 • Receive a voucher when you make a purchase at Newlife Uttoxeter between 25th - 30th March 2019. • Vouchers valid between Monday 1st April - Friday 19th April 2019 (inclusive). 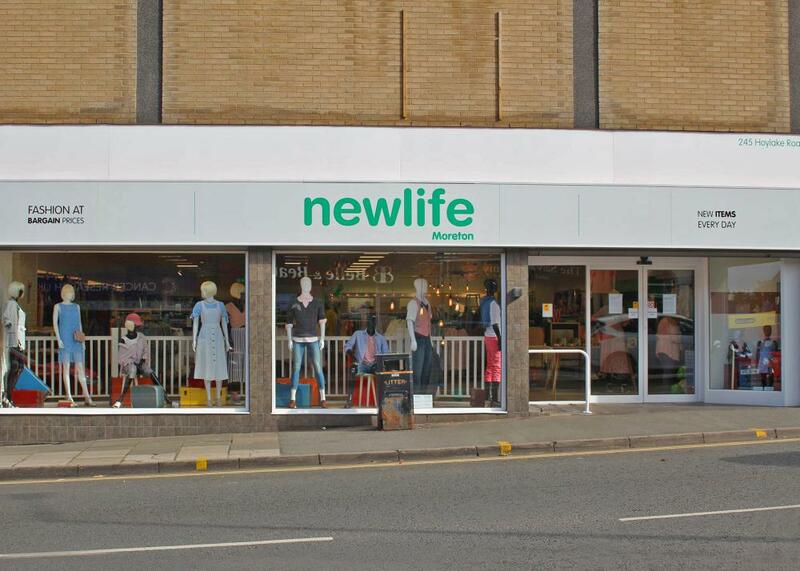 • Vouchers can be redeemed at all Newlife Fashion stores (excluding Newlife Uttoxeter). • Vouchers cannot be used on carrier bags or gift vouchers. • Vouchers can be used with other offers /promotions. • Vouchers are subject to availability. 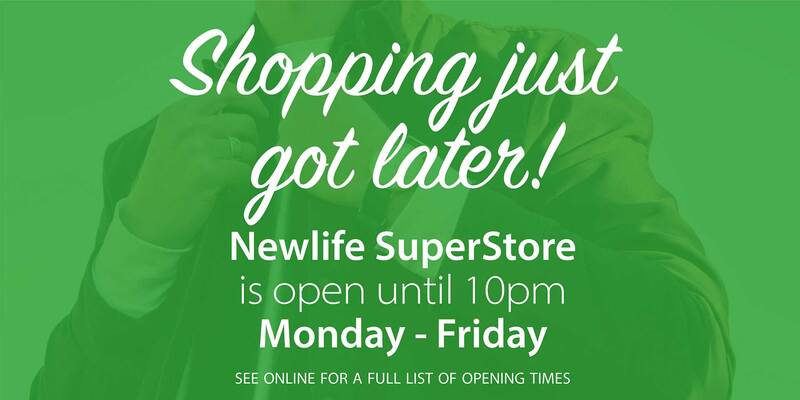 • For a full list of opening times please visit www.newlifestores.co.uk. • See in store or visit www.newlifestores.co.uk for information on returns. • Newlife reserves the right to; Close or restrict entry to the store, on the grounds of safety & limit the volume or value of purchases, to deter traders. • Gift Vouchers are redeemable against any merchandise in Newlife Stores. • Multiple Gift Vouchers may be redeemed in the same transaction up to the value of the goods being purchased. • Items returned whereby the tender has been gift vouchers, the return tender will be gift vouchers. • Gift Vouchers contain no cash value. • For purchases in store, where Gift Vouchers offered have a greater value than the goods being purchased, no change will be given. • Gift Vouchers must be submitted upon redemption in store. • Please treat Gift Vouchers as cash in terms of security. Gift Vouchers cannot be replaced if lost, stolen or damaged. • Gift Vouchers cannot be returned or refunded, except in accordance with your legal rights. • We reserve the right to refuse to accept a Gift Voucher that is deemed to have been tampered with, duplicated, damaged or which otherwise is suspected to be affected from fraud. • We reserve the right to change any of these terms and conditions from time to time without notice and to take appropriate action including cancellation of the voucher if, at its discretion, it deems such action necessary. • Gift Vouchers are issued by Newlife. Our stock is donated to us through our high street and corporate partners. We are unable to disclose which stores donate to us, and whether we have particular items available in store. 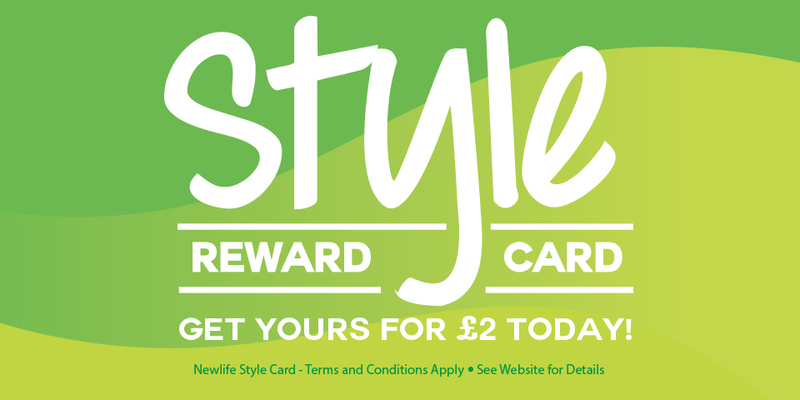 What is a Style Reward Card? - Exclusive offers and further reductions. - Style Card only discounts. - Exclusive preview of our premium online items. - Exclusive preview on certain promotions. - Get yours for £2 today. - Terms and conditions apply (see below). 1) Is believed to have been involved directly or indirectly in theft from Newlife. 2) Is identified as trading Newlife products for profit. 3) Physically or verbally abuses, bullies or harasses members of staff, volunteers or other customers. Newlife also reserves the right to change the annual and other costs without advance notice. A replacement - if available. A repair - not on fashion, bags or footwear. A partial refund by credit note, if you are happy to retain the item and accept no future return will be possible. A cash or card refund (using the method in which you made payment). 1a) Original faults – Any faults on products, which could have reasonably been seen, at the original point of purchase and have been reflected in the price, are not normally refunded/returned under this policy. 1b) Electrical and battery items – Extended return period if new faults occur. Return within 12 weeks for battery items and 18 weeks for electrical items, as long as you can show the receipt and/or acceptable proof of purchase. 1c) Washing/cleaning issues – Many of the products we sell will have had their washing/cleaning instructions removed. Therefore care should be taken in cleaning/washing, as we cannot accept returns under your statutory rights, if a product fails/is damaged as a result of washing/cleaning. The lack of washing/cleaning instructions is reflected in the pricing. 2a) Full price purchases - We give our customers the opportunity to return any/all products that they have paid full price for and which are not part of a ‘promotional offer type’ (see below), as long as you have the receipt and the ticket/sticker is still attached, within 21 days of purchase. 2b) Discounted items - We cannot offer a refund, where the product has had its tickets/stickers removed at point of sale, or where an item has had the ticket/sticker marked down in price or marked with a coloured X, as this makes it a discounted item. Buy One Get One Free - return only one of the items, no refund. Return both items you will receive a full refund. Buy One Get One/Others Reduced - return only one of the items, we will assume you are returning the reduced item and refund you this amount. Return both/all items, you will receive a full refund. Linked Savings - (e.g. buy a £6.99 item get a £2.99 item free) you must return both items to get a full refund. If you only return the full priced item, the cost of the free item will be deducted from the refund value. Multi-Buy Offer - (e.g. buy 3 x £2.99 items for £6) if you return part of this multibuy offer, then you will have the saving deducted from your refund (e.g. return 1 x £2.99 item and the £2.98 multibuy saving, will be deducted from £2.99 refund). 2d) What if I want to buy a promotional item, but I still want the opportunity to return it? - You can if you wish (it’s up to you), choose to ignore the ‘promotional offer’ and pay full price for the item, making it returnable under point 2a above. Please tell the member of staff this is the case when presenting the products at the till. The member of staff will stamp your receipt to indicate this and you have the right to return it, if you wish. However, if the product has its ticket/stickers reduced in price or marked with an X, it cannot be purchased at full price, it is not returnable. 3a) What is ‘proof of purchase’? - Unless the item is returned under your statutory rights (new fault occurs) we are unable to accept ‘proof of purchase’ from bank statements etc. only the original receipt will be accepted as proof of purchase. 3b) What if I don’t have the receipt or the tickets/stickers are not attached? - If the receipt cannot be presented, but the ticket/sticker is attached, we may offer a credit note (no cash/card refund). If the receipt is presented, but ticket/sticker is not attached, we may offer a credit note (no cash/card refund). If you cannot provide the receipt and the tickets/stickers are not attached, we cannot give a refund of any kind. So please take care of your receipts and the tickets/stickers. 3c) Don’t use and try to return – With the exception of goods returned under your statutory rights (see point 1), if products are returned to us for refund and we have reasonable reason to believe the product has been worn or used since purchasing, we reserve the right to refuse a refund completely or we may offer a sum lower than the price paid. 3d) SuperStore only – In order to process any type of returned product, your store reward card must be presented, so we can confirm it is still in date/valid. If you have any queries, please ask to speak to the Duty Sales Manager. 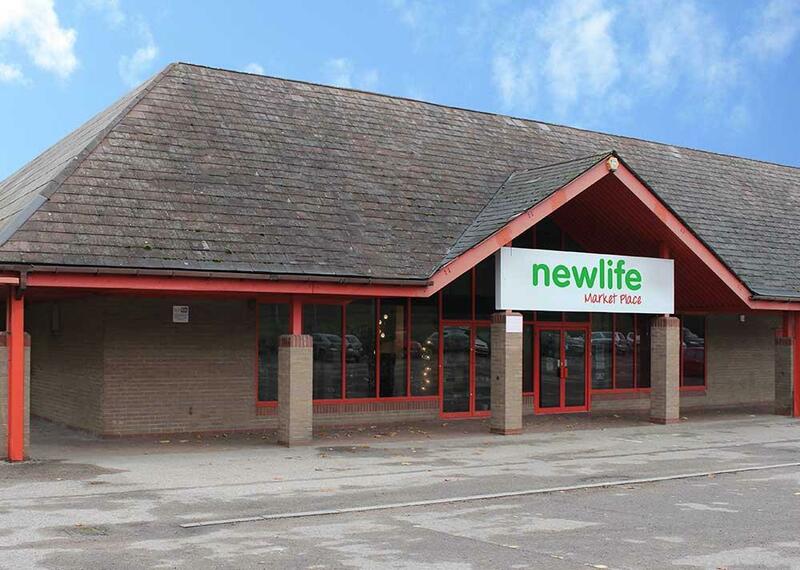 Newlife prides itself on providing a first class, reliable and efficient service to all our users. Complaints/feedback are key to monitoring our service and wherever possible we seek to take action to prevent reoccurrence of a problem. We define a complaint as an expression of dissatisfaction, whether oral or written, about a service or activity provided by Newlife. A complaint can be made up to two months from the issue giving rise to it. Your complaint will be dealt with by the relevant manager. All complaints received will be acknowledged within three working days of receipt. We will investigate the matter and get back to you within 14 days. Should we have to, in exceptional and more complex circumstances (for example, if a key member of staff is on annual leave or sick), we may need more time to gather all the information? If this is the case, we will contact you in writing. However, if you are still unhappy, then you may wish to contact the Fundraising Regulator. Newlife Charity is a member of the Fundraising Regulator and is committed to the highest standards in fundraising practice. If your complaint is regarding fundraising and you feel that it has been unresolved by us, then the Fundraising Regulator can investigate your complaint. 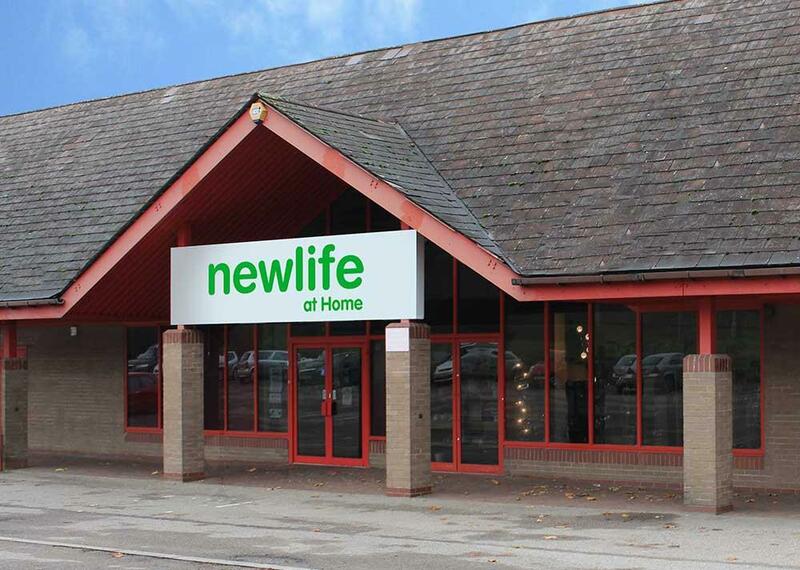 Stay up-to-date with latest Newlife Store news, campaigns and offers.